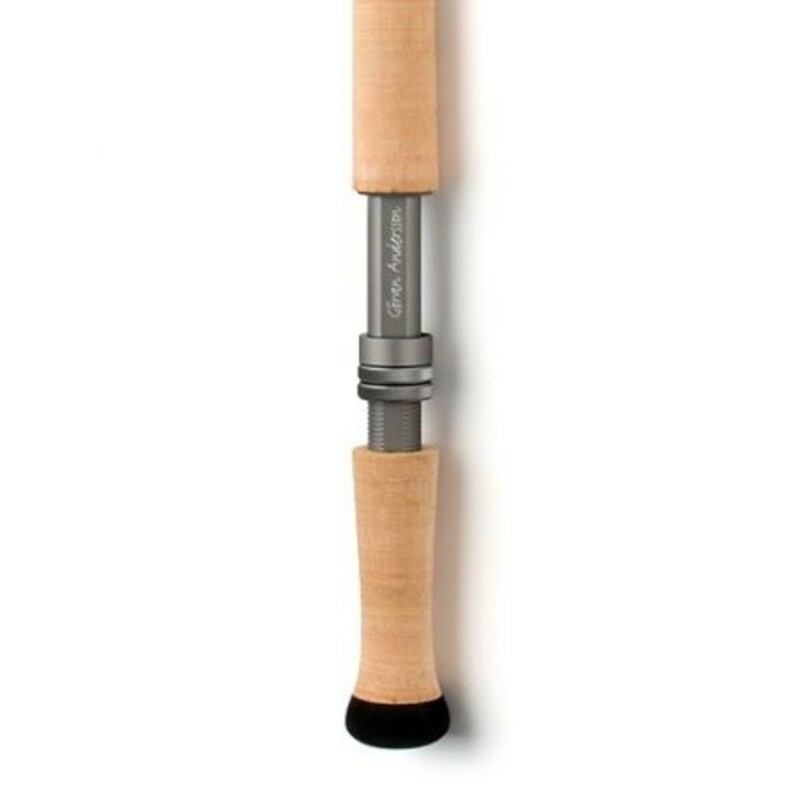 The rods have a deep action that bends down through the handle when fully loaded, with a short piston stroke that allows an early stop. The rod is for any flyfisher, but gives experts an improved experience, without any loss of power for the forward cast. Length: * 8'8" 11'0" 9'4" 11'6" 12'0" 12'2" 12'6"
Triangular reel-seat with a permanent lock - easier to put the reel in place. Form follows function. Cork handle in best available quality. Ceramic stripping guides and durable chrome snake-guides with double coating. Rod model inscription and dot mark on ferrules for correct fit of rod sections. Comes in cloth rod sock and pentagon shaped cordura tube.